Featuring a striking bubble effect, the Bubble Table Lamp by Heathfield & Co is formed using moulds from the archives of the 1950s. The distinctive shape is individually blown using an optic to create a unique design for each light. 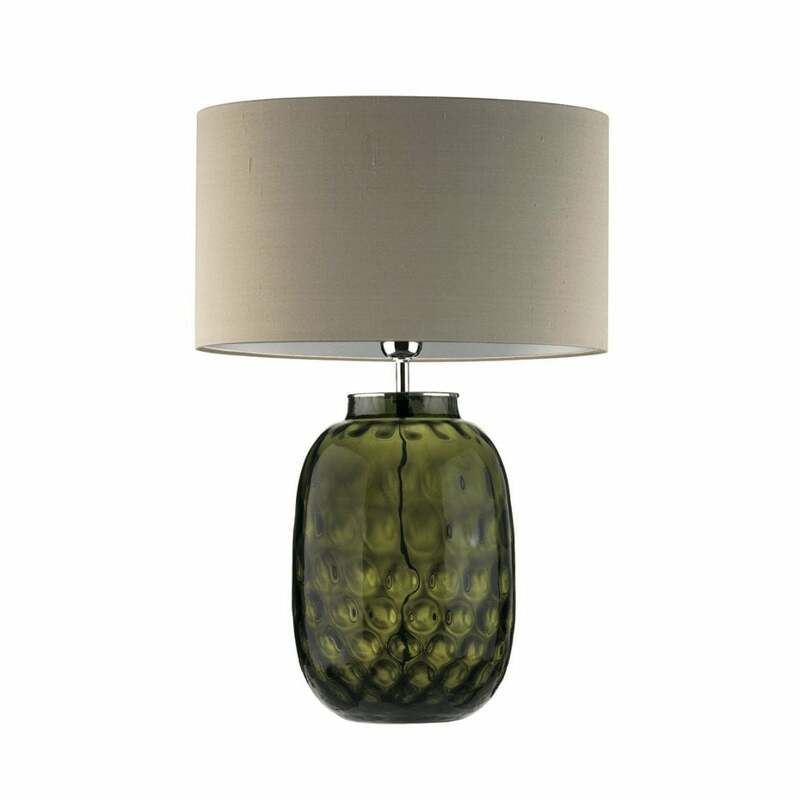 Complemented by chrome detailing and a luxurious oval shade, the Bubble Table Lamp is available in clear, smoke or olive glass. This retro piece will make a stylish addition to a console or corner table. Make an enquiry for more information. Priced for 16" Bubble Oval shade in silk with white PVC lining. Please contact us for other options.